YOU WANT BREAD? WE GOT YER BREAD. 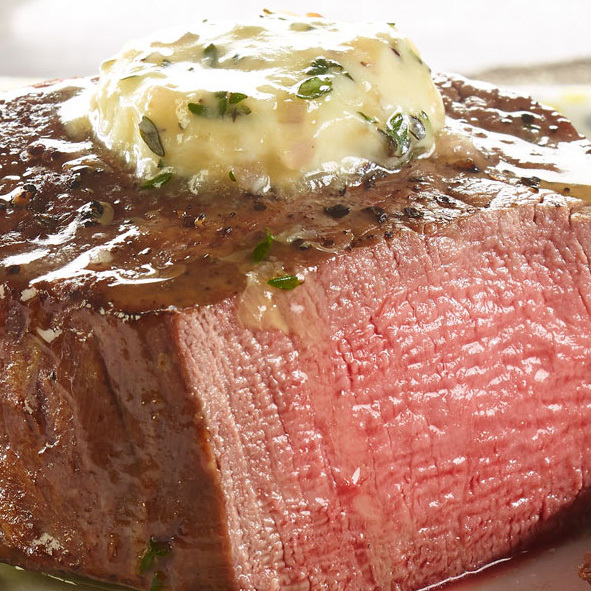 Impress everyone when you place your own homemade compound butter alongside your prime rib. A compound butter is simple, but its flavor combinations are endless. You make it with softened (generally unsalted) butter to which you add savory ingredients or, sometimes, sweet thangs. Whip them up; stiffen the compound butter (most often in the freezer); then add a small knob to bunches of foods. Go here for 10 recipes for compound butters. 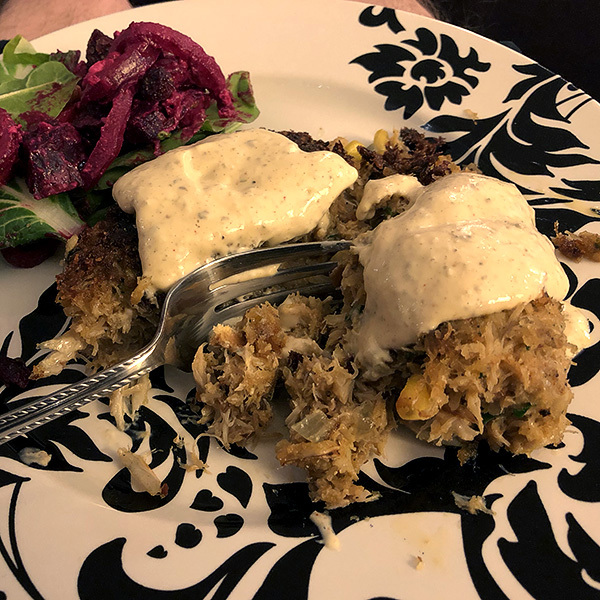 Densely packed with real crab meat, dry white wine, Old Bay Seasoning, and a touch of cayenne, you can bake or pan-fry these and top with our market-made remoulade. Price good through Wednesday, January 2. 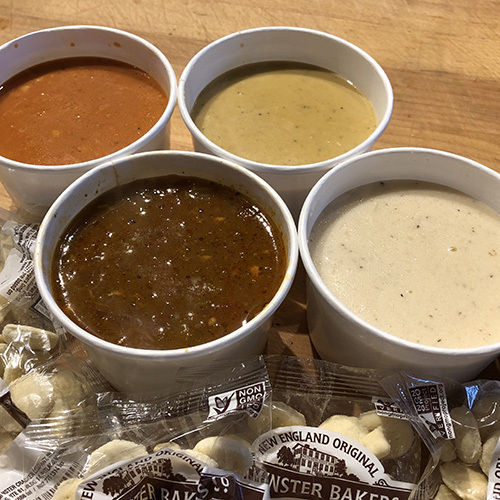 2019 has been declared Year of the Really Good Soup by those who really like really good soup. We happen to have really good, homemade soup.